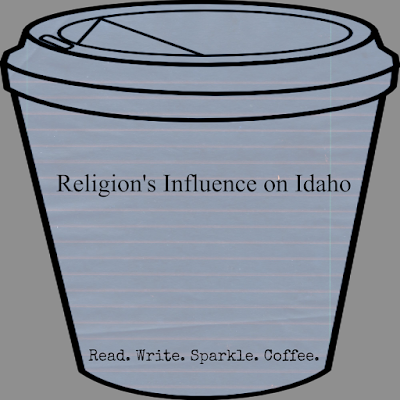 A few days ago, I posted my last entry on Reading, Writing & Coffee, where I shared that I was on my much needed and much deserved summer vacation after completing my first year at Idaho State University. I also shared that I finally get to read, write, and study whatever I wanted, kind-of. Sometimes it really stinks to be responsible! It would be so easy to be the student that says C's and D's get degrees. It is so hard to manage a GPA that earns you the position of top of your class. It does not allow you to just play around and do whatever you want, when you want. Now, do not get me wrong. I find being at the top of the class very rewarding and true to who I am. (I say that in the most humblest way possible). I mean I cannot do anything differently. I try to ignore my responsibilities. I sometimes tell myself that I am going to do the minimum on a project that I care little about, but I am never satisfied with that. And... I end up doing whatever it takes to make it my absolute best. In the end, I learn something new and think I really could have missed out on that opportunity. 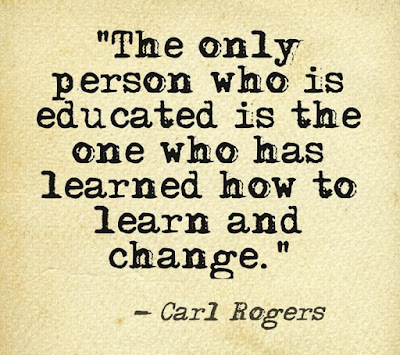 I guess it comes along with my desire to be a teacher, because I know learning is so vital to our human existence. There is a dramatic difference between reading, studying, taking a test & receiving a degree AND reading, studying, taking a test, learning, changing, & earning a degree. 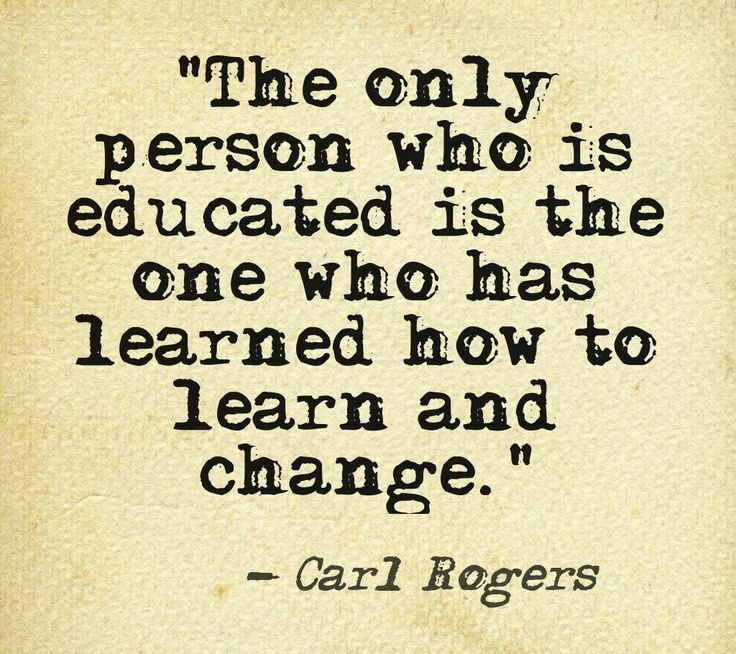 I feel as though if you are going to learn something; it ought to change you or create a want to change. Knowledge has that power! So, this summer vacation of mine. The vacation that was going to allow me rest and rejuvenation (in addition to my much anticipated family vacation & participation at the NEA Student Leadership Conference). The thought that kept me sane during one of my most difficult semesters in college was a nice idea. The reality is, I am 2 semesters away from student teaching. 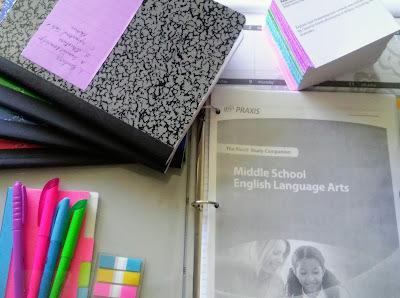 Before I can student teach, I must meet the requirements of the remaining classes, complete 2 more ICLA (Idaho Comprehensive Literacy Assessment) tests, and 2 more Praxis Examinations: Elementary Education Multiple Subjects & Middle School English Language Arts. 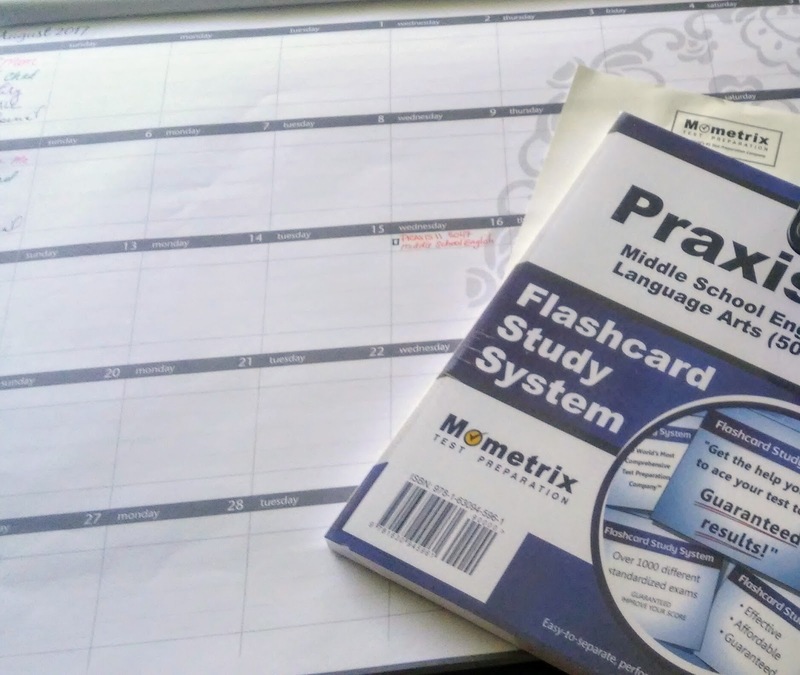 I have decided to tackle the Praxis II Middle School English Language Arts this summer, my test is scheduled for August 16th. This grueling examination includes: Reading (General Knowledge, Literature & Informational Texts and Rhetoric), Language Use & Vocabulary, Writing Speaking & Listening, and English Language Arts Instruction. I ordered the Mometrix flash card set, borrowed a few resources from the ISU-TF College of Education library, and in process of invading my vacation making a plan! In an article entitled, A Case for Social Media in Schools, Sarah Kessler shares a phenomenal report of what happened a year after a teacher began a pilot social media program in her seventh-grade classroom, “Twenty percent of students school-wide were completing extra assignments for no credit, grades had gone up more than fifty percent, and chronic absenteeism was reduced by more than a third” (2010). According to the same article published in Mashable the teacher states, “Social Media should be embraced not banned. The educational benefits of social media far outweigh the risks and schools are missing out on an opportunity to incorporate learning tools the students already know how to use” (para. 2). Social Media sites such as Facebook, Twitter, and Blogs are not going away; therefore, why not use them to our advantage to engage these students? In the following essay, I will present to you a research-based rationale demonstrating my understanding of the importance of using teacher and student websites in the classroom; as well as, a reflection of my own experience creating and developing a classroom website. Classroom websites have extraordinary potential in the middle school classroom. Blogs and other social media usage within the classroom provide the ability to connect students within the classroom in addition to the outside world. In the article Publishers, Participants All, Will Richardson says, “the engagement factor teachers and students seek while enabling students to gain a variety of academic and social skills” (p.22). Mark Storz and Amy Hoffman share in an article published in Research in Middle Level Education Online, “bridging the gap between schools and the outside world by finding innovative ways to engage and extend student learning” (2013). Creating and developing my website, Mrs. Cullip’s Classroom through the platform Weebly at mrscullipsclass.weebly.com has been an incredible learning experience. Even though I have a lot of previous knowledge of creating and developing websites for personal use, I have gained awareness to the designing and running of a classroom website. The platform Weebly is one that I have had experience with and it is similar to other blogging platforms I have used: WordPress and Blogger. The design options are limited; however, practical toward a basic foundation in the building of a classroom website. The process of incorporating my classmates work onto my website was fairly simple and the addition expanded the resources available to me in the future. I am concerned with the notion that some of these websites may not be available if the owner decides to delete them. In the future, as an Idaho State University student, I will continue to use my website to add major assignments and essays that could assist me in my career as a teacher. As a Middle School English/ Language Arts teacher, the website will be a valuable resource to have as I begin my professional role in the classroom; as well as, a great model to assist students in the creation of their own sites. Within this essay, I have provided a research-based rationale demonstrating my understanding of the importance of using teacher and student websites in the classroom; as well as, a reflection of my own experience creating and developing a classroom website. Throughout this semester, I have gained awareness to the designing and running of a classroom website. I believe classroom websites have extraordinary potential in the middle school classroom; providing students the opportunity to connect within the classroom, as well as the world around them. Our textbook, The Study of Language (2014) defines semantics as, “the study of the meaning of words, phrases and sentences” (p. 109). In semantic analysis, Yule states, “there is always an attempt to focus on what the words conventionally mean, rather than on what an individual speaker might think they mean, or want them to mean, on a particular occasion” (p. 109). More specifically, the term lexical relations are the relationships of meaning between words (p. 293). Words have both a denotative and connotative meaning. The dictionary, for example, provides us with the denotative meaning of a word; the literal or primary meaning. The connotative meaning, the emotions and associations attached to a word, is the one that derives from personal experience, education, background, environment, etc. The connotative meaning is one that is derived within a word association test. Linguists use the term collocation; the likelihood of two words occurring together. A word association test requires a subject to respond to each of a series of words with the first word that comes to mind or with a word of a specified class of words (Merriam-Webster). According to Galton.org, word association was first developed as a research instrument by Francis Galton and then later by Carl Jung as a clinical diagnostic tool. Galton presented the first word association test to psychology; he used a list of 75 stimulus words with which he read and noted his responses. Galton thought there might be a connection between a person’s intelligence quotient (I.Q) and word associations. In the past, a variety of studies have been done using word associations, to find the collocations based on age, demographics, generation, and more. Language historian Anne Curzan, completed a study regarding the change of meanings of words over time. In a Ted Talk (2014), Curzan explains what it is that makes a word real. In Psychology: Research and Review, authors Zortea and Menegola provide their work toward the idea, how age differences modify the structure of semantic word association networks of children and adults (2014). Authors Goliath, Farrington, and Saunders (2014) used word associations to identify the image or perceptions that students have of an entrepreneur, which was published in Acta Commercii. The essential question of this research project is, do men and women linguistically respond in semantically different ways? My hypothesis, is that there is a linguistic difference between masculine and feminine semantical response. For this research project, the sample was made up of 20 participants. Participants were those collected in a random manner based on convenience. There was one participant restriction; as every person needed to be 18 years or older. At the time of inquiry, everyone was required to provide both their gender and age. Research project participants included ten males and ten females, in between the ages of 19 and 54. For this research project, I created a list of 15 prompt words to perform a word association test. The following are the list of words/phrase used: fine, success, balance, okay, manly, relationship, love, dating, pin, bet, pitcher, dressing, child, magazine, and friend. Each word was specifically chosen based on those with a variety of connotative meanings. First, I created a list of 15 prompt words. Second, I began my selection of random participants to complete the word association test. Participants were found on the College of Southern Idaho (CSI) campus, Lighthouse Christian Church, Albertsons, Idaho Education Association (IEA) Delegate Assembly, Jackpot (gas station), Starbucks, and IEA Twin Falls Region 4 gathering. When a participant was found, I asked them if they had a moment to assist me with my research project I was completing for my English 2281, Introduction to Linguistics class at Idaho State University (ISU). If they agreed, I provided them with the ISU Human Subjects Committee Informed Consent Form so they could participate in research for linguistic analyses. After participant read the form, I asked for verbal consent. Upon consent, I provided the word association test (See Appendix) for them to complete, along with a writing utensil. There were three verbal instructions given to each participant, write legibly, write the first word that they thought of when they read each of the individual words listed, and do so as quickly as possible to avoid overthinking. Once the participant completed the word association test, I thanked him or her for their time and gathered their materials. The following information, retrieved from my participants are in support of my hypothesis. The materials were first analyzed for completion; of the 20 participants, 17 completed all 15 word associations on the test. The materials were then analyzed by male and female participants; remaining seven males and ten females. Overall, I found the responses in both Table 1 and 2 to support my hypothesis; varying semantic differences between males and females. In analysis of the responses received between males and females over the age of 18 years; I found my hypothesis to be supported. There is a varying, linguistically masculine and feminine semantical response. The most significant semantic differences between the male and female responses were within the words balance, pin, and pitcher. When given the word balance, male participants focused on the word as an action (being able to stand on one foot); however, female participants described the roles in their life that they had to balance. The responses to the word pin, led most male participants toward bowling and gold; whereas, female participants chose the social media platform, Pinterest. When responding to the word pitcher, male participants used the term for baseball or a baseball player; while female participants associated this word with the container you hold beverages in, specifically tea. In giving a second thought, I found myself wondering if the results were just because they were male and female? I began to look at age and noticed differences in responses from those participants who were older. When reading specific answers that gave more detail about his or her life; I discovered that some were married, single, and had children. These responses led me to believe that there is more to just a semantical gender difference between men and women. Male or Female respond alongside their age, marital status, and whether they were a parent or not. Ultimately, age and personal experience are additional factors to our production of collocation of words. In addition, I also wonder if there are differences within the gender roles outside of the male and female majority. The study was completed, solely with participants that were heterosexual men and women. Would the different roles of lesbian, gay, bi-sexual, transgender, and those questioning (LGBTQ)? I would assume that these roles differ the typical personal experiences. Therefore, I believe sexual orientation is an additional factor to how words are associated. The research project is not without error. One method of improvement would to have a more specific participant test group. A consideration of specifically selecting participants by age, education, marital status; rather than a random collection based only on convenience. This choice may have led to a more organized process of comparative results. For example, providing a list of responses from married males and females between the ages of 18 and 30, rather than a list of responses from single and married males and females between the ages of 19 and 54. In conclusion, the research project is not conclusive to whether there is a linguistic difference between semantic responses in males and females; however, it suggests gender roles are a large factor in how words are collocated. The research project provided restrictive results, based on the fact that the participants and organization for the study was extremely limiting. If given the opportunity to complete further research on this subject matter, I would include additional factors into my research. Questioning participants of their age, marital status, sexual orientation, and family size in addition to age and gender. Yule, G. (2014). The Study of Language. Cambridge University Press. Kindle Edition. Zortea, M., Menegola, B., Villavicencio, A., & de Salles, J. (2014). Graph analysis of semantic word association among children, adults, and the elderly. Psychology: Research and Review, 27(1), 90-99. Is it possible that many children are referred for ADHD evaluation not because they have true learning difficulties, but because a school has not adapted to their changing brains? Sir Ken Robinson shares a story in his book entitled, The Element: How Finding Your Passion Changes Everything, of a little girl that visited a specialist’s office with her mother, for the school suggested the girl had a learning disorder. At the age of eight, she had given much concern to her teachers in the classroom with reports of poor test scores, late assignments, disrupted behavior, unnecessary fidgeting, and bouts of daydreams. The psychologist began the assessment by discussing the difficulties she was having in school with the mother, while the girl sat across the room from them. She sat on her hands in order to reduce her fidgeting, as she was tremendously bored by the event. The girl felt uneasy since the assessment was about her, yet he asked her no questions, just watched her from a distance. Twenty minutes later the psychologist got up from his desk and informed the girl that he was in need of speaking to her mother privately, before leading her mother into the hallway the psychologist turned on the radio. When the psychologist shut the door, he told her mother to stay near the window so they could observe her. Within seconds, the girl got up and began dancing to the music; natural, simplistic movements full of grace around the room. The psychologist told the mother that her daughter did not have a learning disorder; however, she was a dancer. She was not in need of a special classroom; however, of a dance school. The mother did as the psychologist suggested and the girl found a place where she belonged; a place full of children just like her, children who needed to move in order to think. Many children have been diagnosed with the condition known as Attention Deficit Hyperactivity Disorder (ADHD) and have been successfully treated allowing them to lead successful lives; however, with the many environmental changes students have experienced over the years, it is possible that many children are referred for ADHD evaluation not because they have true learning difficulties, but because a school has not adapted to their changing brains. This story took place in the 1930s, so there was no option to diagnose the girl with the condition known as ADHD and place her on a stimulant drug such as Ritalin. ADHD was not first recognized as a mental disorder until the early 1980s, but researchers say the syndrome had been seen and noted much earlier. David G. Meyers defines attention deficit hyperactivity disorder in the book Psychology, as a psychological disorder marked by the appearance by age seven, with one or more of these three key symptoms: extreme inattention, hyperactivity, and impulsivity. According to the Center of Disease Control, approximately eleven percent of children, ages four to seventeen have been diagnosed with ADHD as of 2011. The percentage of children with an ADHD diagnosis continues to increase. By 2011, 6.4 million children were reported by their parents to be diagnosed by a health professional with ADHD compared to the 4.4 million children diagnosed in 2003. The home environment of today’s students varies significantly from the environment of the homes in the past. The home atmosphere of the past was calm, if there was a television in the home it was placed in the common room where it was controlled by the parents and the programs children watched were carefully monitored. The families of the past were consistent, they spent a good deal of time talking, reading, completing activities, and dinner was eaten with one another at the table each evening. The neighborhoods of the past were a significant part of childhood, the children played outside developing motor skills and learning social skills necessary to interact well with others. The schools of the past were an important influence in a child’s life and the primary source of information. This was also a fascinating place as it had special films, field trips, and guest speakers, engaging the student’s mind in the learning process. The present-day homes atmosphere is busy, encircled by countless forms of technology, which is often used unsupervised and uncontrolled for numerous hours a day. The present-day families are unstable, with many homes ran by single parents, leaving children with a smaller number of occurrences to speak with adults and changing dietary habits as home cooking is becoming obsolete. The present-day neighborhoods are empty, as children turn to their bedrooms full of television sets, game consoles and computers for their entertainment, causing them to have a lack of social skills, creating poor communication and isolation. The present-day schools are just another activity on their to-do list and one of many places where they acquire information. A place that many students find to be dull, leaving their active minds disengaged and deters them from the art of learning. A vital part of the accomplishment as a student can be accredited to the brains insistent curiosity to things that are unique and different, the changes taking place within our environment. In the book, How the Special Needs Brain Learns, David A. Sousa explains that, “our brains are actively perusing its surroundings for stimuli, when a motivation presents itself, a rush of adrenaline closes down all unnecessary activity in order for the brain to focus attention on the subject”. There is a quote that has been often spoken that resonates deeply with how our brain actively pursues the environment, “Tell me and I forget. Teach me and I remember. Involve me and I learn.” In opposition, an environment that contains similar, foreseeable outcomes day in and day out, like many of our classrooms, causes the brain to become uninterested and attempts to turn to something that is more stimulating. Another saying brings truth to today’s student, “capture my interest and you will not need to worry about my attention span.” Teachers have said that today’s students learn differently as they tend to have limited attention spans and become bored more easily. I believe this is happening as the home environment in the present day has changed drastically; whereas, the school environment has remained the same. This is causing the student of today to be constantly searching for a form of stimulus inside the classroom, leading them to act disruptively, creating concern for the teacher. Teaching methods are changing, new technologies are being used, and teachers are introducing new ideas in the traditional classroom; however, schools are not changing fast enough. It is time that the school environment adapts to the student needs, instead of the student trying to adjust to the school. If schools began to develop classrooms for the student of today, more children would remain in the educational mainstream rather than be sidelined for labeling. “This happened because someone looked deep into her eyes, someone who had seen children like her before and knew how to read the signs. Someone else might have put her on medication and told her to calm down. But Gillian wasn’t a problem child. She didn’t need to go away to a special school. She just needed to be who she really was”. Robinson, K., & Aronica, L. (2009). The element: How finding your passion changes everything (Kindle Ed.). London: Allen Lane. Myers, D. (2013). Psychology: Tenth edition in modules; (10th ed., p. 627). New York, NY: Worth Pub. Sousa, D. (2001). How the special needs brain learns (p. 16). Thousand Oaks, California: Corwin Press.